A teacher who had sexual relationships with at least two pupils at his school has been banned indefinitely from the profession. Gunsel Akyol, 64, taught at Waingels College in Reading for 28 years until 2016, when he resigned after the second relationship came to light. He admitted the allegations but denied his actions had a "sexual motive". A teacher misconduct panel found he had used his professional position to "influence or exploit". The panel found him guilty of unacceptable professional conduct. It said: "Mr Akyol instigated, developed and engaged in sexual relationships with two sixth-form pupils, which he knew breached the proper boundaries appropriate to a teacher's professional position. "This is evidenced by the way he concealed those relationships and asked the pupils to conceal them." The misconduct came to light in 2005 when the first girl reported the relationship with Mr Akyol - which happened between about 1991 and 1993 - to the school. The economics teacher received a final written warning the same year but was suspended in May 2016 following reports of the second relationship, which happened between about 1999 and 2002. 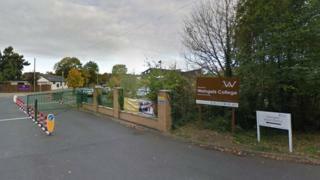 Waingels College began a disciplinary investigation but Mr Akyol resigned three months later, the panel said. Mr Akyol is now prohibited from teaching indefinitely in any school, sixth-form college, relevant youth accommodation or children's home in England. He is also not entitled to apply for the restoration of his eligibility to teach.